Force players to add their own cards to the list. Why is this important? It promotes critical thinking about the inclusion or exclusion of cards. This allows players to ultimately develop a better understanding of the competitive value of the cards in their deck. It prevents players from “netdecking”: taking the complete 60 card decklist of someone else’s tournament deck and replicating it. 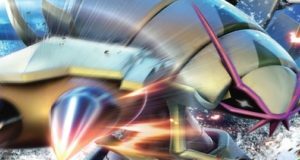 We examined two of the most successful decks since Sun and Moon were released for competitive play. We then compared each deck’s 60 card list that placed highly at the Oceania International Challenge and at Regional events worldwide. The following are the resulting skeleton lists for Vespiquen and Yveltal/Garbodor (in the standard competitive format). Note: The player’s full deck list can be accessed externally by clicking on the player’s name. 3/4 of the decks played 2 Eevee, 1 Ancient Origins Jolteon and 1 Ancient Origins Vaporeon. 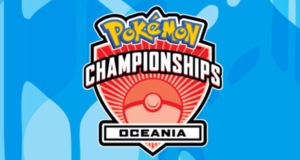 At the Puerto Rico Special Event, Rahul and Hector also played 1 Ancient Origins Flareon. 3/4 of the decks played 1 Oranguru, 1 Tauros GX, a 2nd Float Stone, a 4th Acro Bike, at least 1 Revitaliser, and 2 Forest of Giant Plants. From Anaheim Regionals to the Puerto Rico Special Event, Rahul Reddy only changed one card in his deck. He replaced an Oranguru with an Ancient Origins Flareon. Every deck played at least 1 additional Pokémon from a selection of Tauros GX, Mewtwo (from Evolutions) or Hoopa EX. The 2 decks that included Tauros GX also ran 1 Ninja Boy. The 2 decks that did not include Tauros GX, included 1 Professor Kukui. Every deck ran between 21 and 24 Item cards. As indicated by the skeleton list, 21 of these item cards were the same for all the decks. Now that you have the bones of these two popular decks, make them your own! Play a variety of tech Supporter cards like Marc Lutz, or go against the grain with some unconventional Item cards like Jeffrey Cheng did.